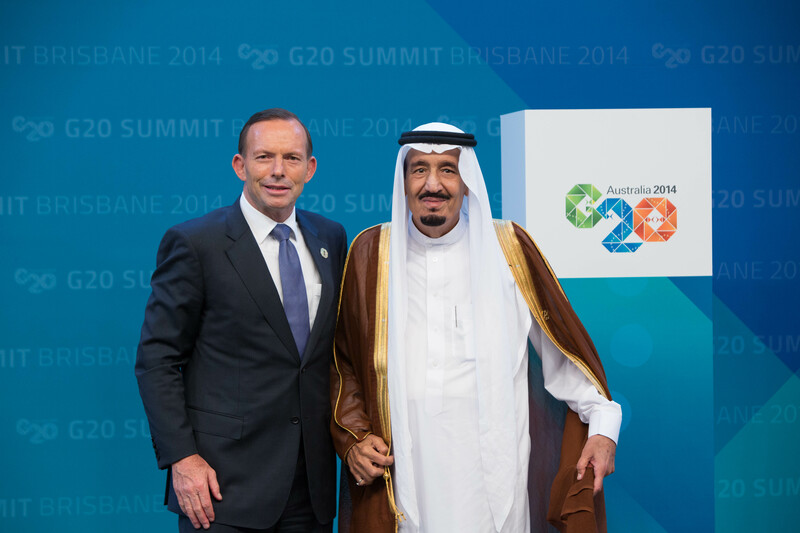 Crown Prince Salman bin Abdulaziz Al Saud, Deputy Premier and Minister of Defense of the Kingdom of Saudi Arabia, sent a thanking cable to Australian Prime Minister Anthony Abbott to mark the end of the state visit the Crown Prince has made to Australia. “I laud the positive outcomes of the G20 Summit which will have a significant impact on the closer cooperation among G20 members in all fields in order to achieve development and prosperity of the international community,” Crown Prince Salman added. In conclusion, the Crown Prince wished the Australian Prime Minister continuous health and happiness and the Australian people steady progress and prosperity. 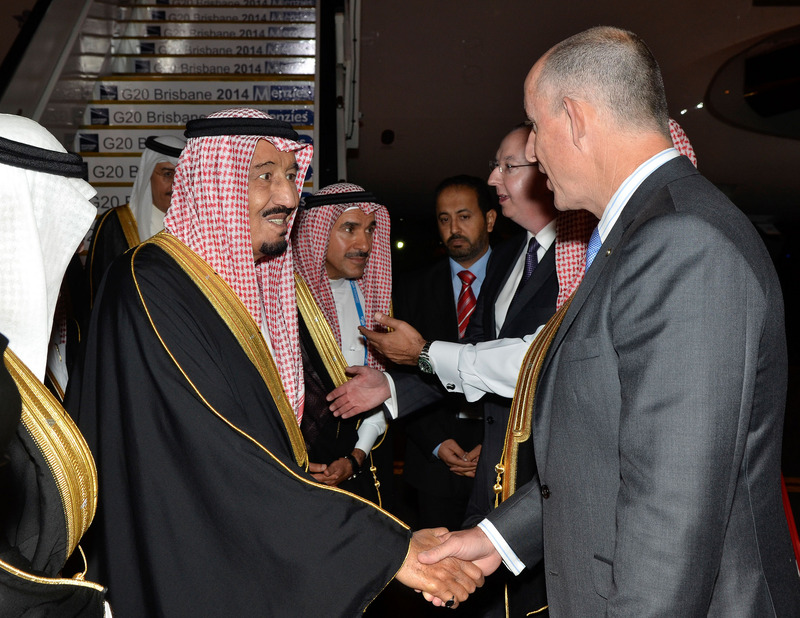 Saudi Ambassador to Australia and New Zealand Nabil bin Mohammed Al Saleh has expressed in his name and on behalf of Saudi students on scholarships in Australia his deepest thanks and appreciation to Crown Prince Salman bin Abdulaziz Al Saud, Deputy Premier and Minister of Defense for his directives that 370 Saudi male and female students studying at their own expenses in Australia shall join Custodian of the Two Holy Mosques Program for Foreign Scholarship. He thanked the Custodian of the Two Holy Mosques King Abdullah bin Abdulaziz Al Saud and the Crown Prince for their continuing support for the program to achieve its objectives to prepare a generation contributing to the march of overall development and renaissance in the Kingdom of Saudi Arabia in all fields. 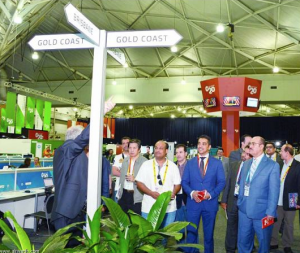 The Saudi media delegation participating in coverage of the activities of the G20 summit which will be held on 15 and 16 November toured the international media center of the summit in the city of Brisbane. The delegation included the President of Saudi Press Agency (SPA) Abdullah bin Fahd Al-Hussein, various newspaper editors, writers, radio and television producers and also a delegation from the Saudi Press Agency. The media delegation is participating in the coverage of the summit. On the sidelines of the summit, the Ministry of Culture and Information has a special pavilion within the centre providing materials on the Kingdom’s progress and relations with Australia. The Al-Hilal Football Club’s Board of Directors chaired by H.R.H Prince Abdulrahman Bin Mosaad has offered their sincere gratitude and appreciation to the Ambassador of the Custodian of the Two Holy Mosques in Australia Mr. Nabil Al Saleh and to all embassy staff and members. The Embassy played a prominent role in accomodating and facilitating Al-Hilal’s delegation during their stay in Australia for the Asian Champions League. His Royal Highness also offered his gratitude to Al-Hilal’s fans who supported the team during the first leg of the final in Sydney and had represented the Saudi citizens in a very high manner.